Use this Wedding Reception Floor Plans template to plan where your guest will sit at the reception. This wedding reception floor plan has space for 12 tables with 6 people per table. There is a database sheet available so you can add the guest on this worksheet. 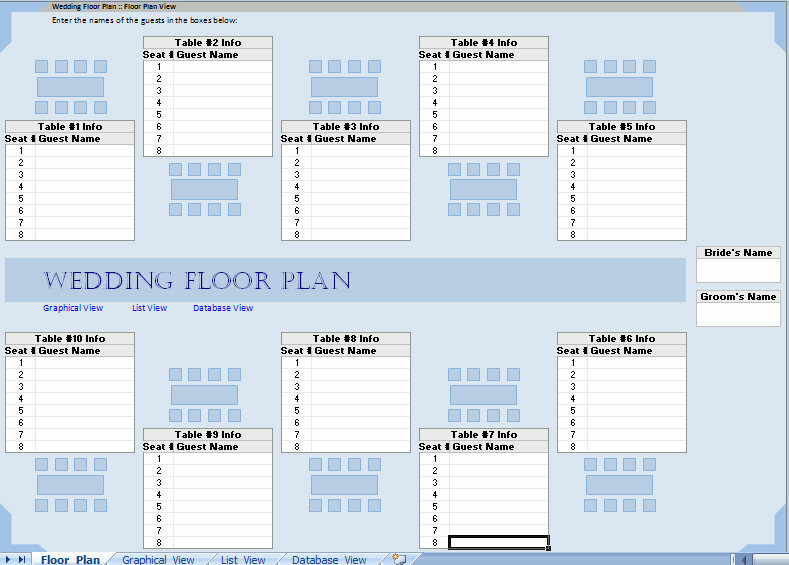 Plan who sits where on floor plan worksheet. 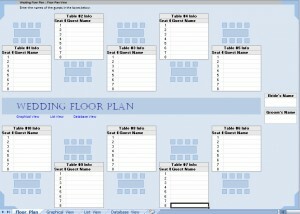 Download this Wedding Reception Floor Plan for free courtesy of MyExcelTemplates.com!